He had had enough of modeling his mother's "creations." He just wanted to finish his shower. 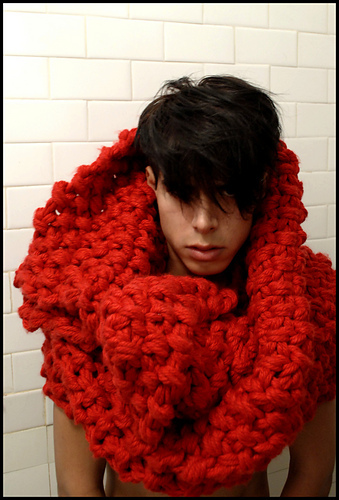 Oh noes, that poor anorexic boy is being devoured by his scarf! What needle size? Or was it PVC pipe? It's not a tumor (said in your best Arnold Schwarzeneger voice).